The Photography Services Studio is located in the Library Resource Center, Room 148. For easiest access, enter the northwest doors of Shake Library, then enter the media resource area where ID photos are taken. Ask Janine Kramer, LRC Secretary, for assistance at desk. 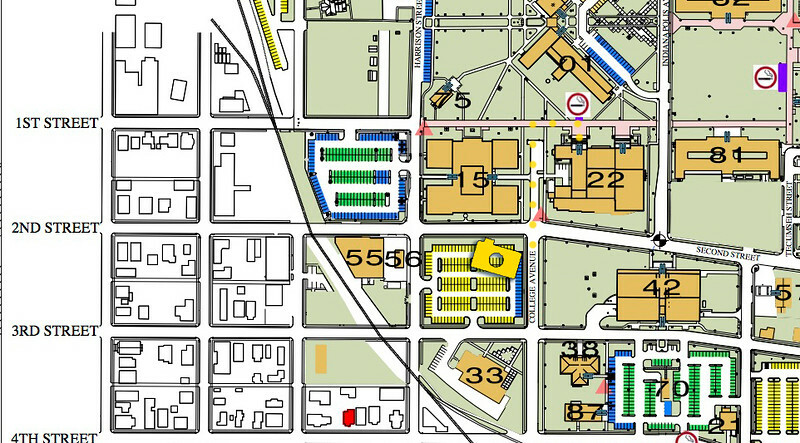 LRC is building #22 on the map below, with the easiest visitor/all-access parking marked with a gold camera. To enter the building, follow the gold dots from the parking lot to the front of the building.